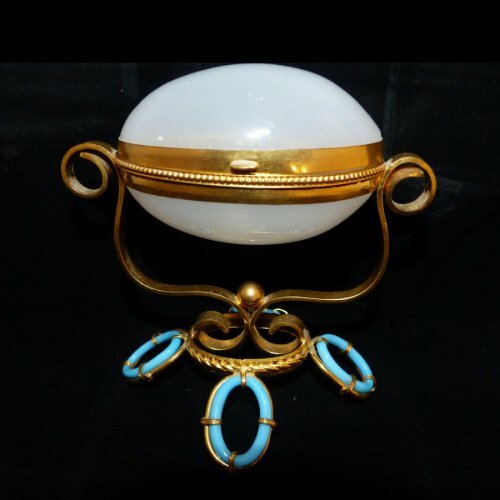 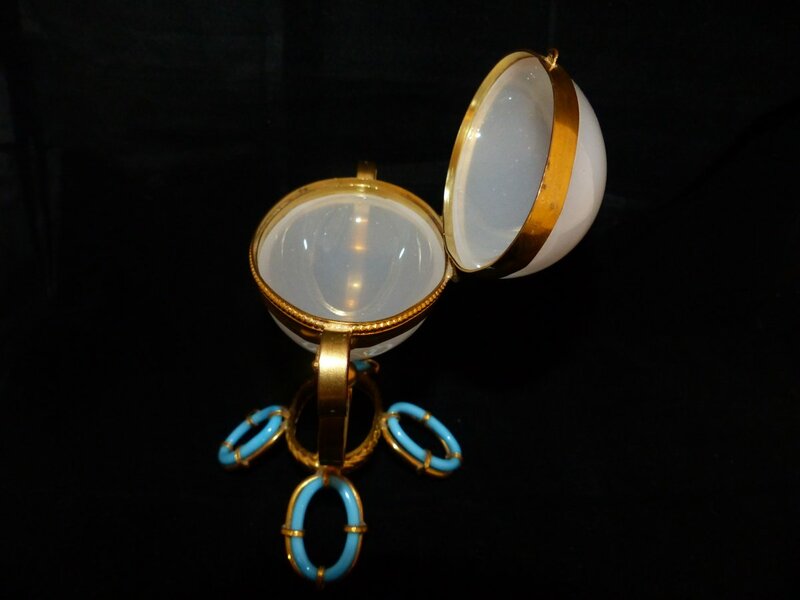 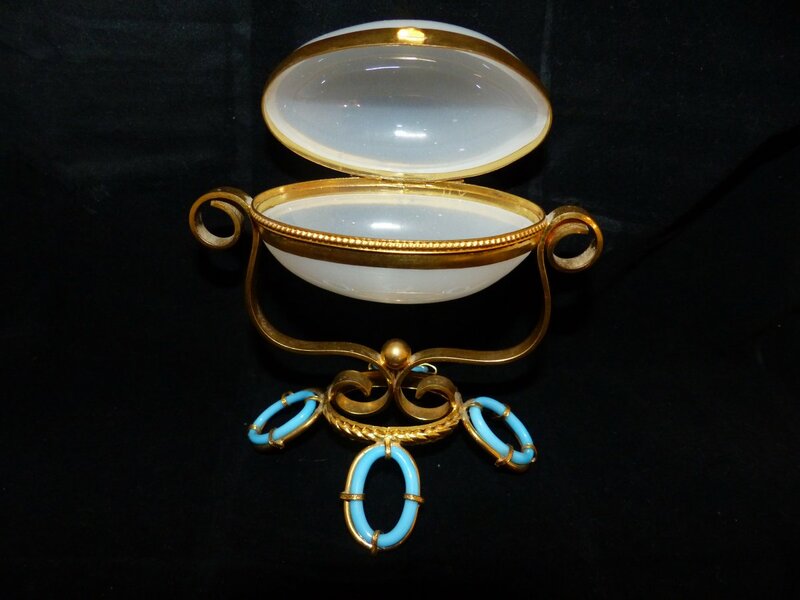 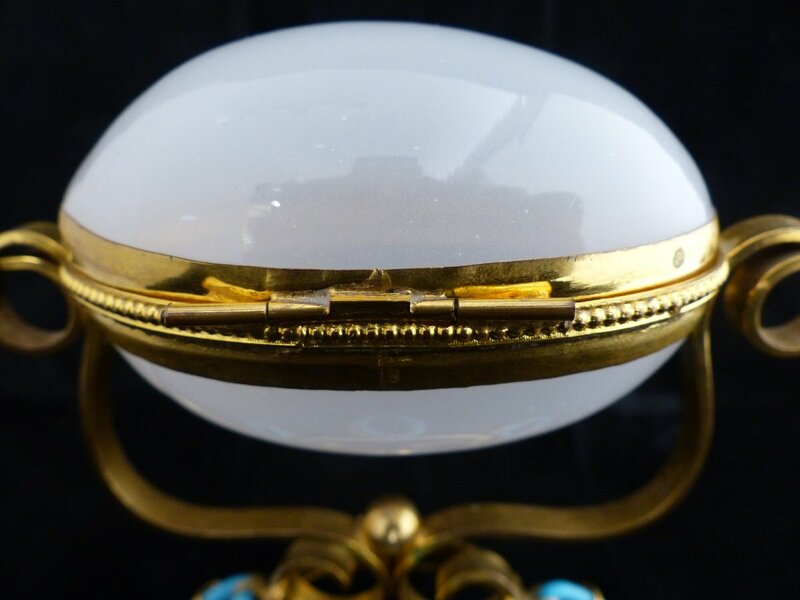 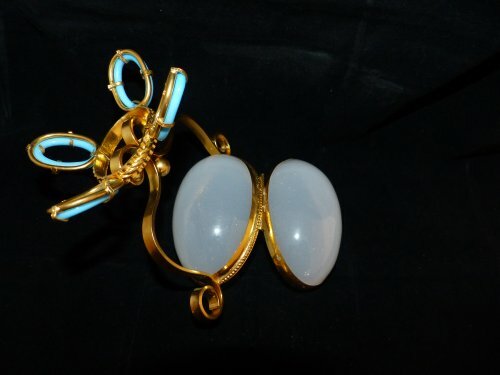 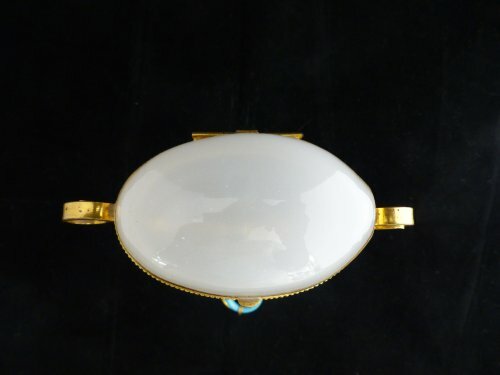 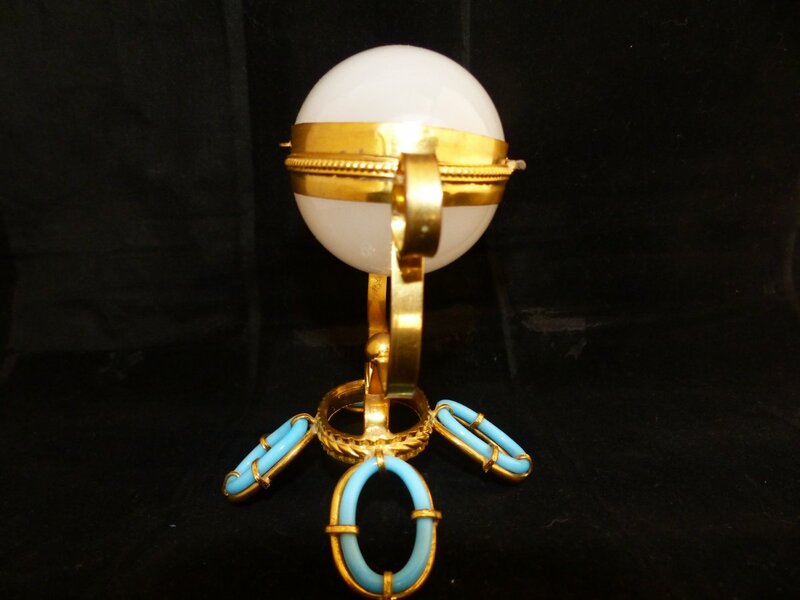 Beautiful box egg shape in white opaline. 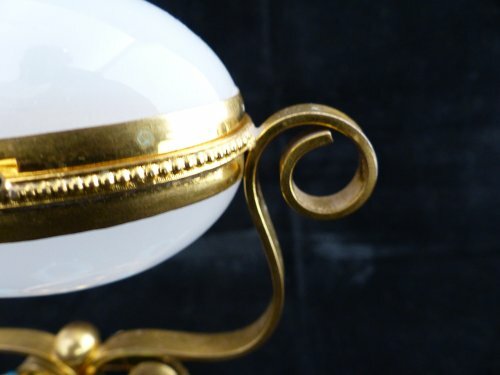 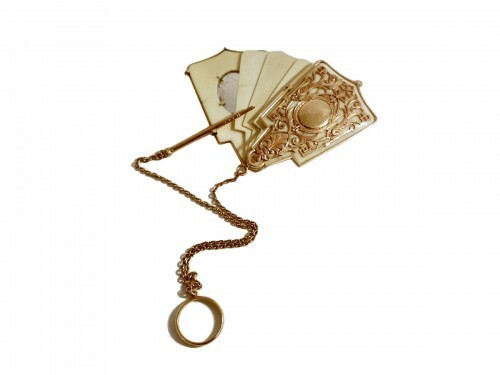 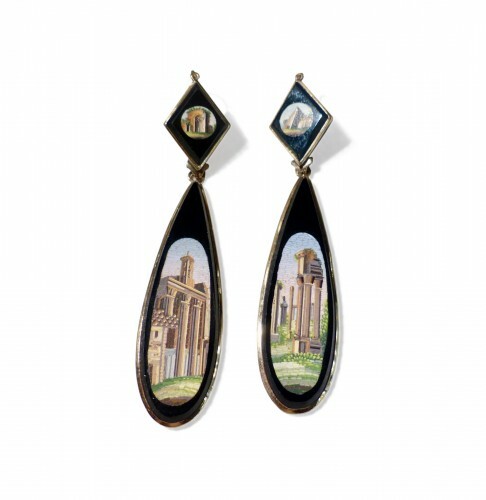 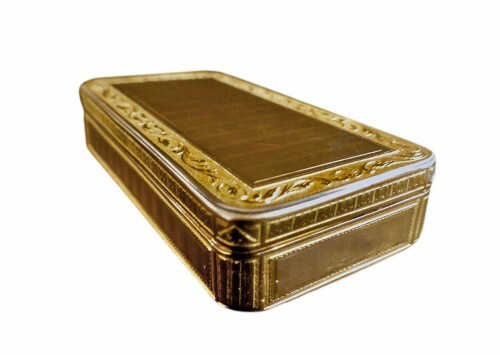 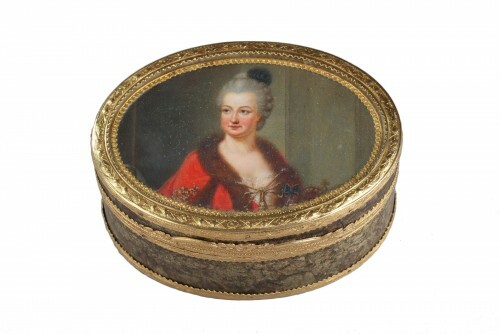 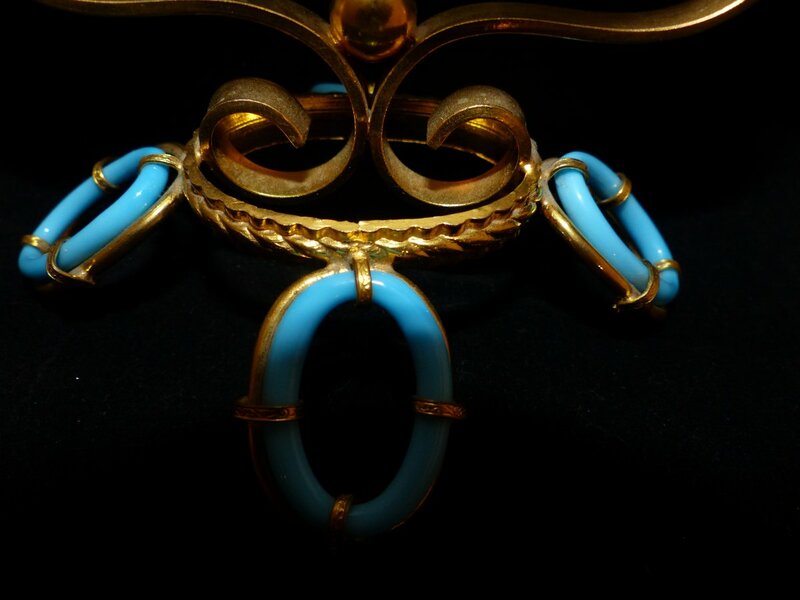 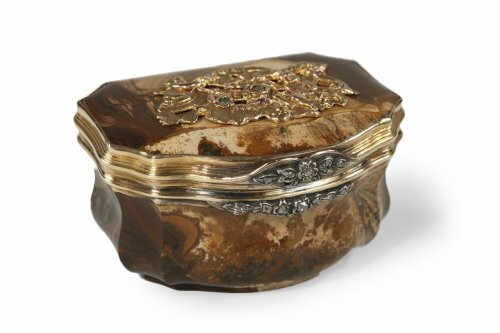 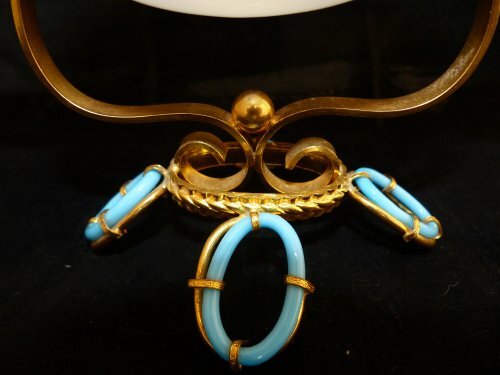 It has a mount in bronze gilded motifs of windings. 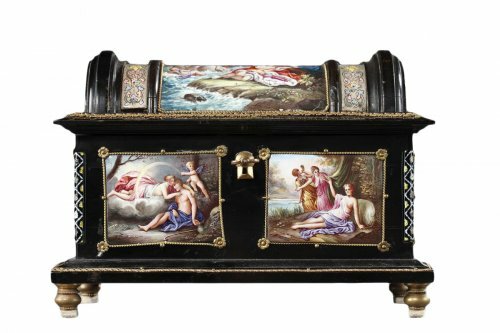 Uncommon model of Napoleon III nperiod in perfect condition.